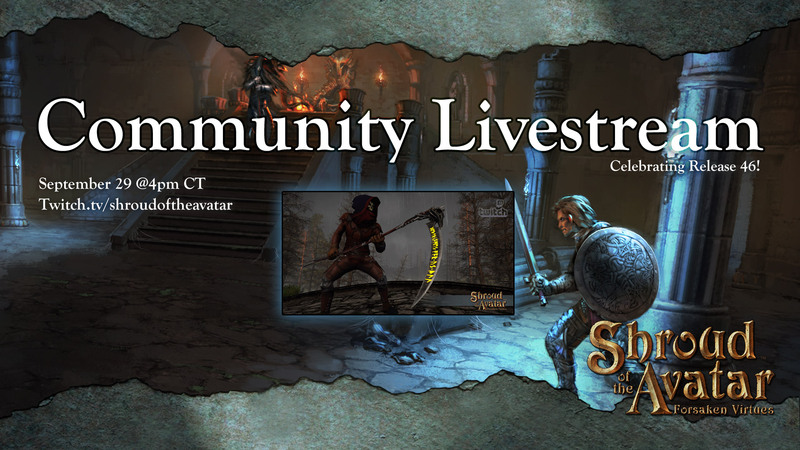 Get ready Avatars, this is going to be another fun Friday livestream! 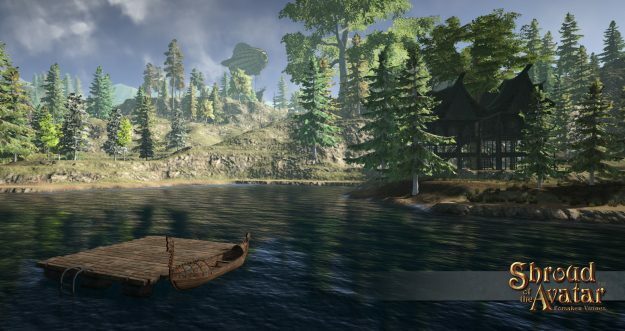 We kick it off with updates from Starr Long about Release 46 and details on the next quarter of development. 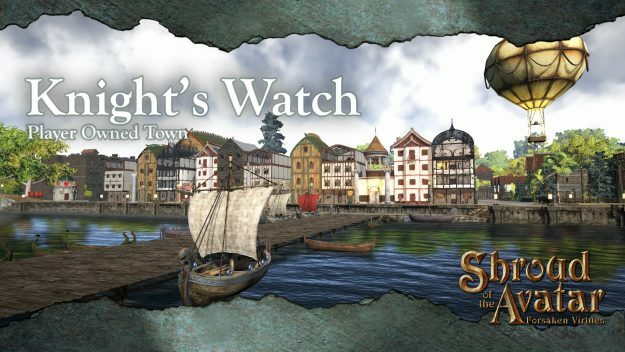 This week’s Player Owned Town spotlight takes us to Knight’s watch in Hidden Vale. 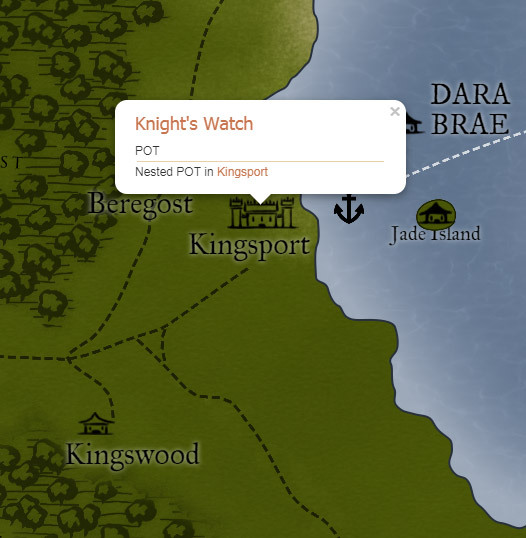 A bustling suburb of Kingsport, this vibrant coastal town is governed by Astor Cerberus. I (Berek) am about to arrive by boat at the docks to meet with him. Read on as the town folk provide a great tour! I clamber off the boat to meet a charming promenade of row homes along the water. There is a bustle of commerce as vendors advertise their wares to bystanders. Taking in the view, I notice that Astor is not yet present. Instead, I’m approached by an intriguing looking outlander who introduces herself as Belladonna Rose. 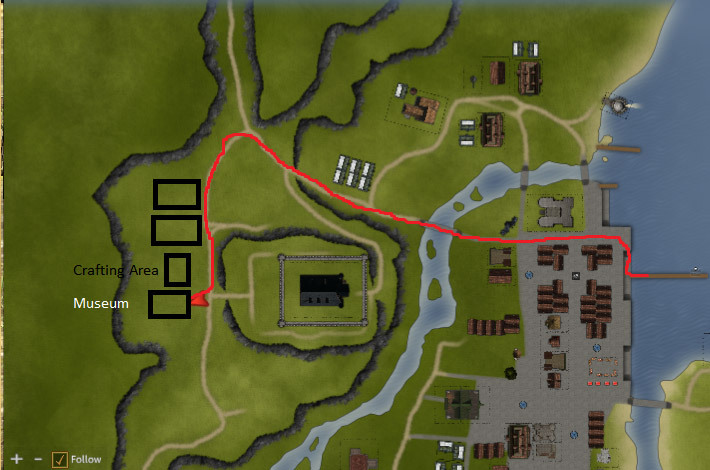 ‘Welcome to New Britannia’ Trailer Contest Winners! Wow! We had another outstanding community trailer contest. All the trailers were truly fantastic and a pleasure to watch with each presenting the game in true splendor. Our team struggled mightily in narrowing down who won, as each entry was quite unique. 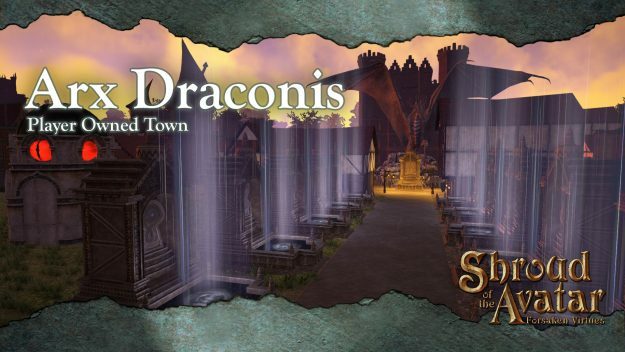 This week’s Player Owned Town spotlight has us traveling to Arx Draconis to visit this beautiful island town, conveniently located in central Novia. Described as a large, walled, fortress city with a castle in the middle that’s perched upon a mountain. 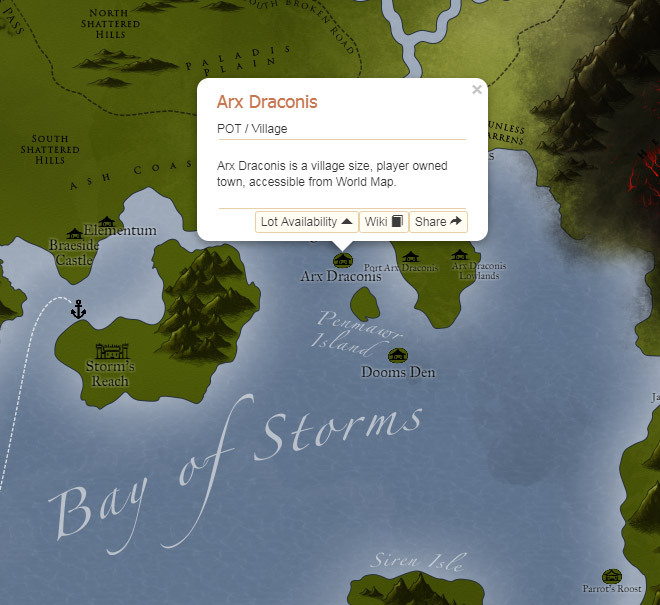 Arx Draconis is the home of The Syndicate (www.LLTS.org). Hundreds of members from The Syndicate visited our studio in Austin earlier this month, giving us a unique chance to talk to them about their in-game adventures! 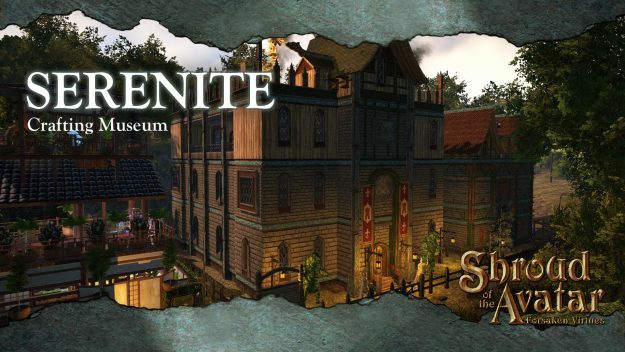 We found out that for over 21 years of its existence, The Syndicate has been featured in two books, listed in the Guinness World Record as the longest lived guild, and mentioned in SotA’s story and lore. 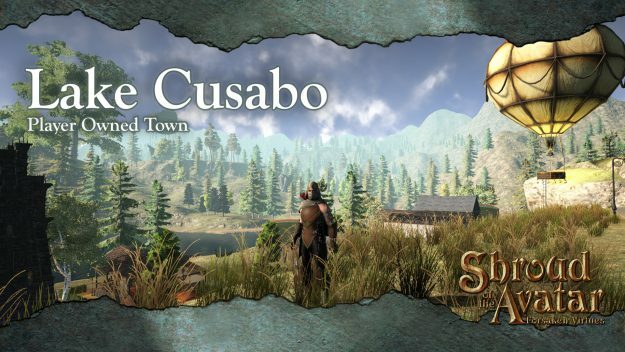 This week’s Player Owned Town spotlight has me, ‘Berek’ as I go by in the community, travelling to Lake Cusabo to visit this beautiful area in northern Novia. After a hectic few weeks of work and outside activities, I realized that it’d been quite some time since I’d had a full day to relax and wind down from the travails of daily life. 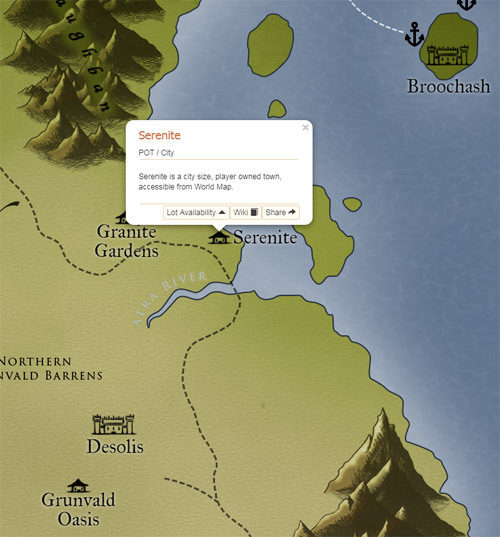 I made my way north from Central Brittany, past Brekken Bay, and onward toward the Serpent Spine foothills. As the road turned west, I arrived at the town of Lake Cusabo. 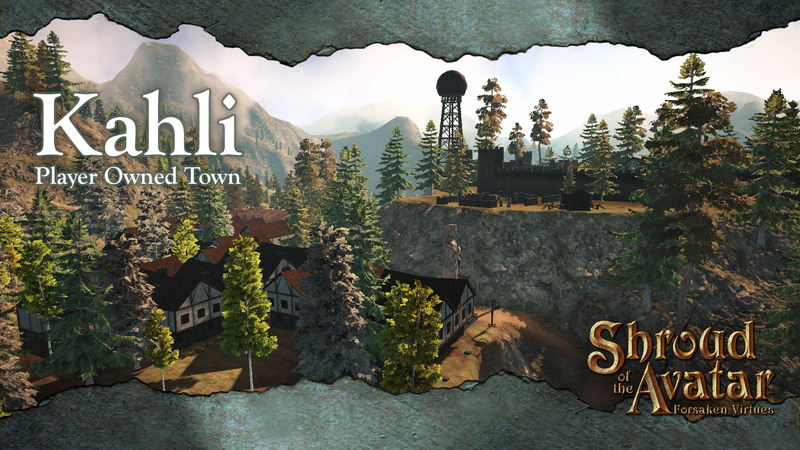 Upon entering the town, I was immediately greeted with the scent of fresh pine and the cool brush of a lovely breeze. Lake Cusabo sits high in the mountains, and the great majesty of the views from atop these mountains took my breath away. 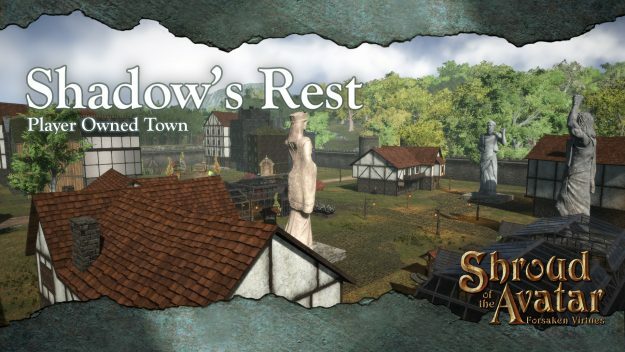 Shadow’s Rest is a Player Owned Metropolis due West of Brittany, along the coast of Lake Equitas. 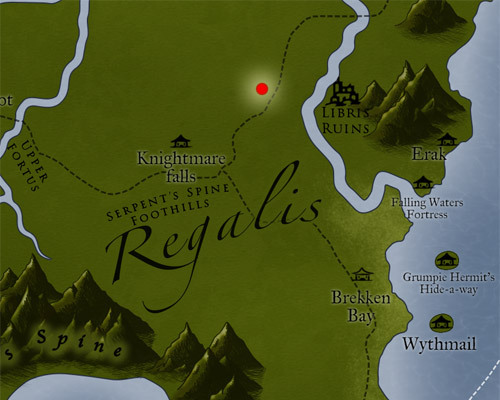 The town is the headquarters for the A Rose From Sequanna services offered to members of the community and welcomes all members regardless of reputation, guild affiliations, or other neutral status. 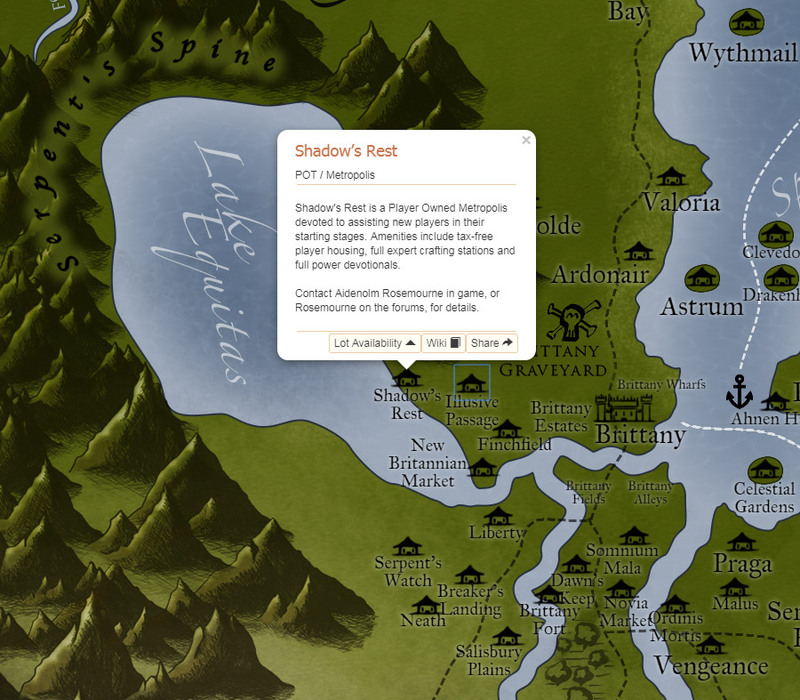 Founded in Marse 3rd, 482 PC, Shadow’s Rest was a small holdfast residing along the source of the Oso River in Norgard. 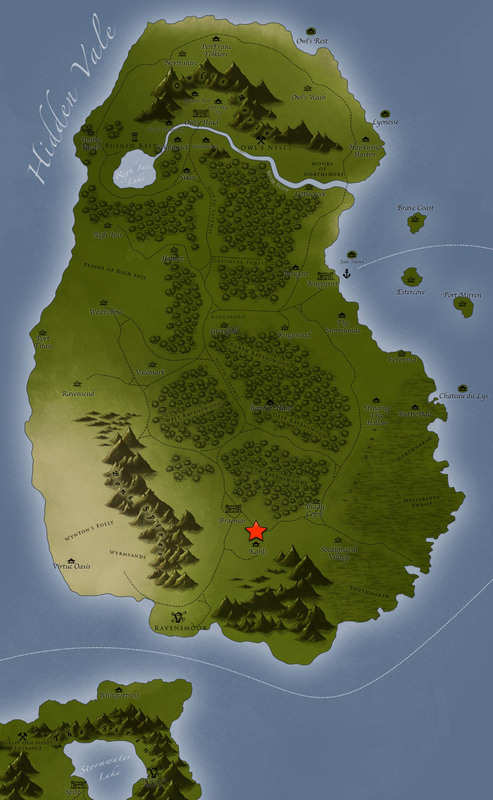 Aidenolm Rosemourne built his home in that location in hopes of one day bringing peace between the Kobolds and Avatars in the area. With his extra land deed he allowed anyone who needed a home to stay for free. 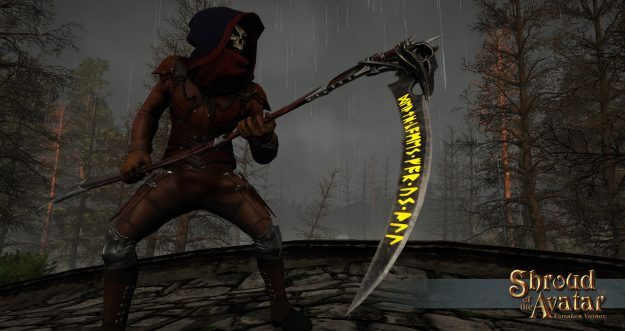 With the skeletons of Ravensmoor closing in upon me, I had no choice. Kahli. Certainly the rumors of peril arising from this land could not be so true, and most assuredly, could not compare to my impending doom by skeletal hand. Holding my panicked breath as if plunging into frigid waters, I ducked into the darkened canyon, descending through twists and turns akin to a maze. Even the undead dared not to follow. But ahead, a glimmer of light brought me hope. Approaching, there be three disheveled merchants, forlorn, all but emaciated, and with only a paltry amount of supplies for trade. “Traveler! Come, quickly, to the light of our fire! The night here… it becomes too dark. Do not get lost in that madness. Are, are they gone? The walking bones? Can we finally leave?” implored the raggedy banker, long since away from her comforts and riches. 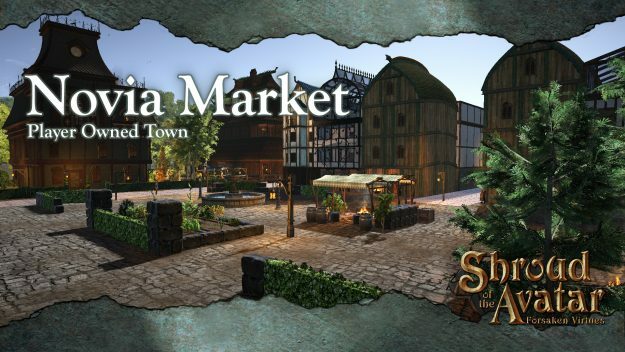 This week’s Player Owned Town spotlight has me, ‘Berek’ as I go by in the community, travelling to the center of New Britannia to visit the bustling trade town of Novia Market. 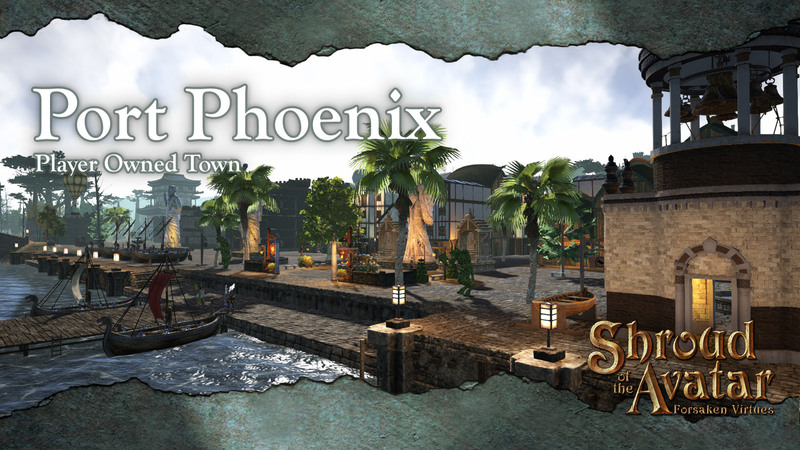 Many of the fair towns in New Britannia have built a strong, steady popularity and long history. By contrast, I had heard rumblings of a young upstart of a community of 50+ merchant residents which seemingly had popped out of nowhere, in the southern hinterlands of Brittany called Novia Market. 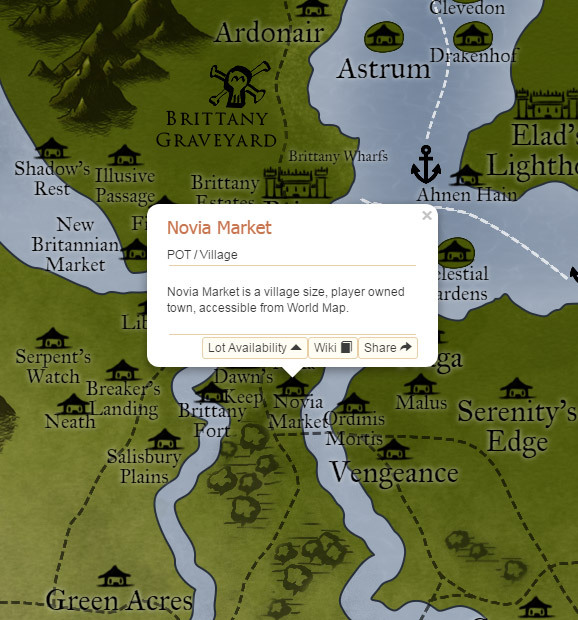 I had seen flyers for Novia Market proclaiming each and every Sunday as a “promo day”, and it piqued my interest enough to start a short pilgrimage to the town. Upon reaching the entrance to the town, I was struck by two things: the hustle and bustle of the community, and an odd couple of gentlemen laying wait to greet me beside the town crier and banker at the entrance. 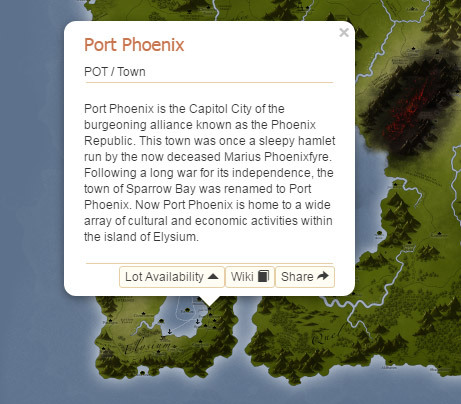 This week’s Player Owned Town spotlight has me, ‘Berek’ as I go by in the community, travelling by boat to visit the popular town of Port Phoenix on the Isle of Elysium. I received a direct invitation from Count Kazyn Phoenixfyre, who I met while admittedly getting a bit lost exploring the nearby Elysian Plains. 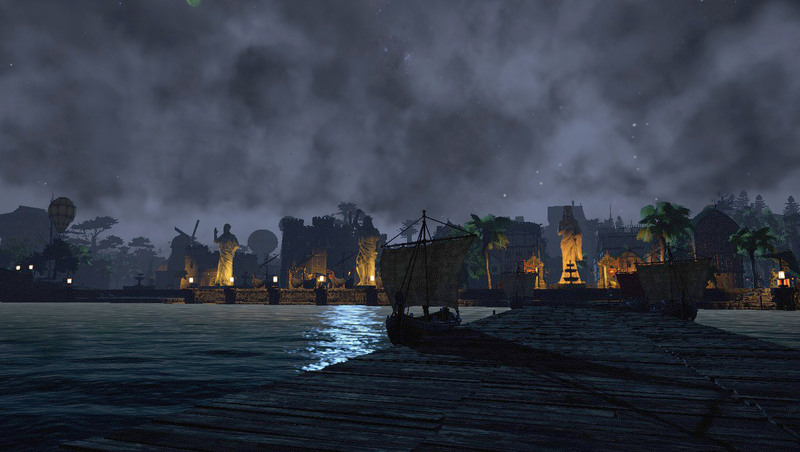 I arrived late in the evening on the docks and was immediately taken by the calm, quiet beauty of the townscape. With little energy for the evening, we made are way to the Once and Future Inn for a room for myself and a hot meal. Kazyn helped me get checked in and then departed until we planned to meet after I got some needed rest.